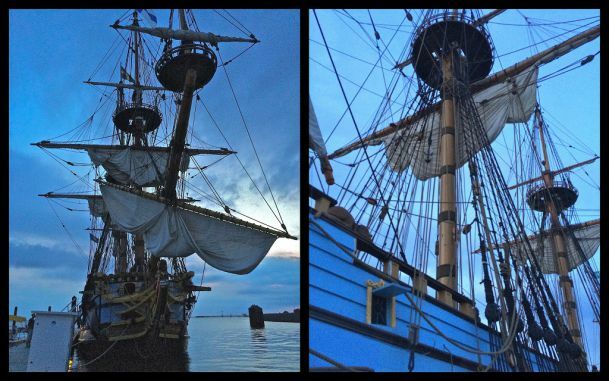 The Tall Ships are Coming to Cape Charles! “Historic tall ships, sloops and schooners will once again grace Cape Charles Town Harbor…This is a rare opportunity to get up close and personal as you explore the decks and meet the costumed crews of magnificent tall ships and encounter roving pirates, costumed re-enactors and all kinds of family fun throughout our historic town and harbor” (Tall Ships Cape Charles). The Ships: Of course reason #1 has to be the ships! From the Hindu, a historic wooden sailboat, to the Picton Castle, a 179-foot refitted barque, these vessels are a magnificent sight to behold. And one of our favs is the Serenity, because it has both Cape Charles and Yorktown, Virginia connections…you see, Bay Haven Inn of Cape Charles innkeeper Tammy grew up in Yorktown, VA and that is where she formed her love of the water! The Vendors: The Tall Ships festivities will include a wide variety of vendors. Browse the wares of arts and crafts vendors, where you’ll find pieces created by talented artisans. Visit the food vendors and indulge in everything from Greek and Asian cuisine to good old-fashioned American hamburgers and of course, fresh, delicious seafood (including crab cakes)! And don’t forget to indulge in a treat or two from Brown Dog Ice Cream. The Live Music: Nothing complements a festival like live entertainment. Whether you’re watching the musicians or simply letting them provide a soundtrack as your browse the Tall Ship activities, you won’t want to miss these talented performers. Ready to start planning your Tall Ships getaway? We fill up quickly, so be sure to book your room at Bay Haven Inn of Cape Charles now! (Note: A special treat for Tall Ships weekend is the visit of the Buy Boat, the F.D. Crockett. 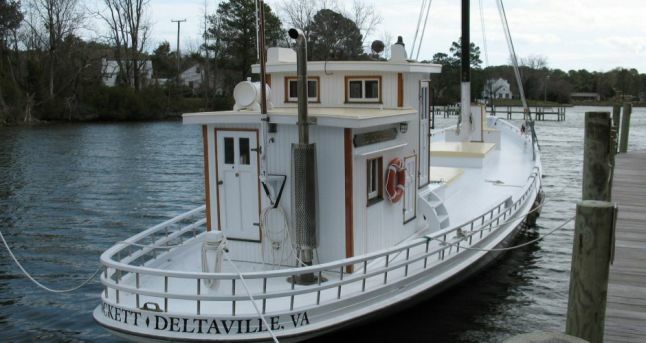 Buy Boats have a rich history on the Chesapeake Bay and this boat in particular is very special to us, as my uncle “Purdy” Green was the captain for 50 years! The Englands’ have done a marvelous job with this restoration, it is a must see for anyone visiting Cape Charles that weekend.